Understanding that between any two fractions there are an infinite number of fractions (fractiondensity) is important. 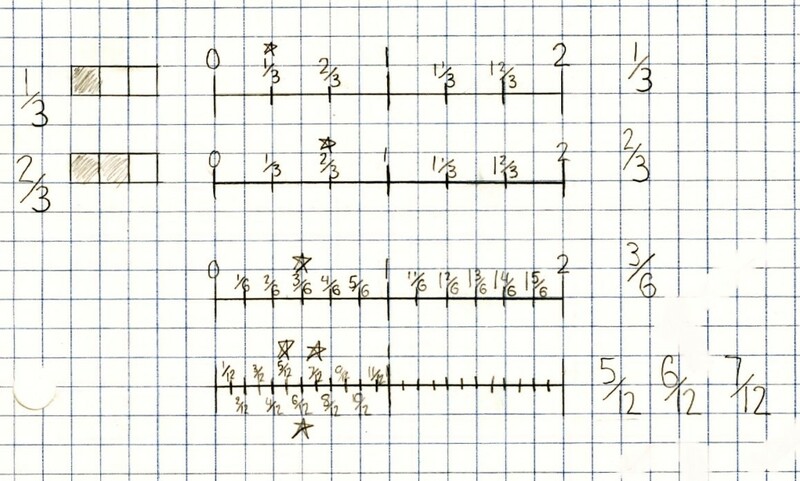 Students should use a variety of strategies for identifying such fractions. This helps students to compare fractions and assess fractions for equivalence. This is a set of progressive prompts that will elicit the use of various strategies used to find fractions between two numbers. The prompts, when used in sequence, support students in choosing a strategy based upon the fractions being considered. Encourage students to build models/representations and create contexts to aid in visualization. This series of prompts can be used for a variety of grades and purposes. The time required will vary depending on the grade level and student readiness.